A loading platform system designed and built by Thorworld Industries has increased efficiency at Solstor UK, operator of a temperature controlled supply chain network for the food industry. 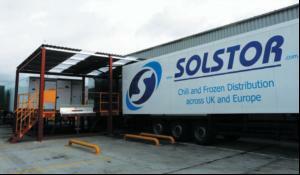 The modular loading/ unloading system has been installed at Solstor's main UK multi-temperature consolidation hub in Kent. 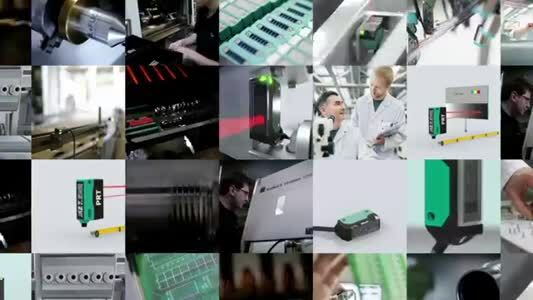 It consists of four standard 2000kg capacity raised platforms, connected to form a single platform measuring 37.5m2. This can handle two 13.6m long reefer trailers at a time. The platform was then equipped by Thorworld with ancillary equipment, including dock bumpers, two hinged bridge plates, safety bars, and a set of access steps. It allows for the fast cross-docking of produce, with a stand-on mechanical barrow used to unload pallet loads of boxes from incoming trailers. Foodstuffs are loaded into another trailer for onward delivery, or stored in a 37 pallet capacity cold store, supplied by ArcticStore, at the rear of the platform.